When will be 2Awesome next episode air date? Is 2Awesome renewed or cancelled? Where to countdown 2Awesome air dates? Is 2Awesome worth watching? 2Awesome is a brand new destination for the best US drama, comedy and youth entertainment shows brought to you by Roman Kemp and Vick Hope. 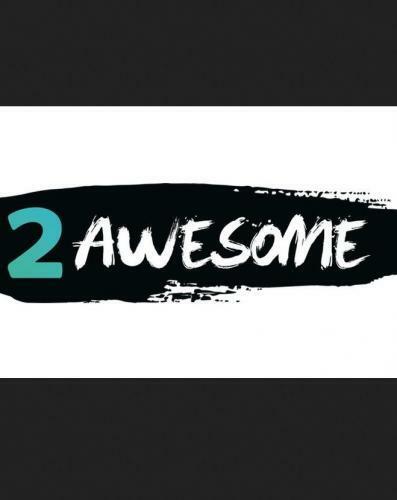 2Awesome is a brand new destination for the best US drama, comedy and youth entertainment shows brought to you by Roman Kemp and Vick Hope. Kicking off the season of 2Awesome will be high school drama Guidance, musical comedy-drama Side Effects, blind dating in Third Wheel, and LA reality in LA Stories. Roman and Vick will be joined by YouTube star Claudia Sulewski as well as The Vamps, who take part in some outrageous games and challenges. Roman Kemp and Vick Hope present another bumper helping of US drama, comedy and youth entertainment shows, featuring high school drama Guidance, musical comedy Side Effects, blind dating in Third Wheel, and LA reality in LA Stories. This week, Roman and Vick are joined by YouTube star and actress Claudia Sulewski and the band MiC LOWRY, who have recently toured with Justin Bieber. Roman Kemp and Vick Hope present another bumper helping of US drama, comedy and youth entertainment shows, featuring high school drama Guidance, musical comedy Side Effects, blind dating in Third Wheel, and LA reality in LA Stories. 2Awesome next episode air date provides TVMaze for you. EpisoDate.com is your TV show guide to Countdown 2Awesome Episode Air Dates and to stay in touch with 2Awesome next episode Air Date and your others favorite TV Shows. Add the shows you like to a "Watchlist" and let the site take it from there.